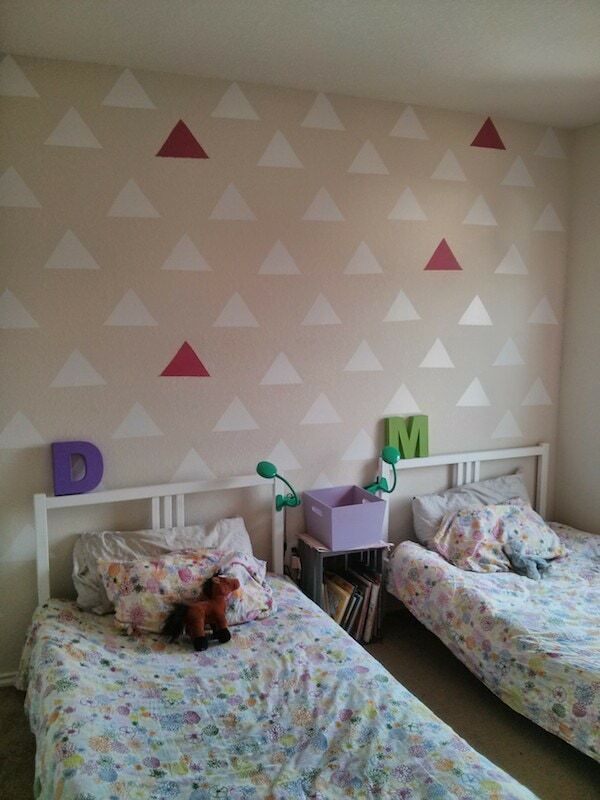 How cute that she incorporated triangles in the “AFTER” on the girls’ accent wall! Would you believe she cut these from contact paper?!? How creative! Read what Michelle had to say about this wall down below! 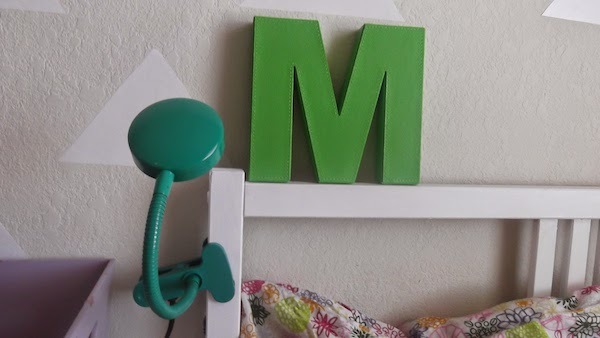 There’s something so fun about the wall decorations that Michelle gave her girls’ room for the 30-Day June Room Challenge! “The biggest challenge was time. I have 3 girls and with all of them home for the summer, it took more time for me to tackle the individual projects I had in mind. I tried to DIY everything in the space and there were a few crucial projects I didn’t get to by this deadline. 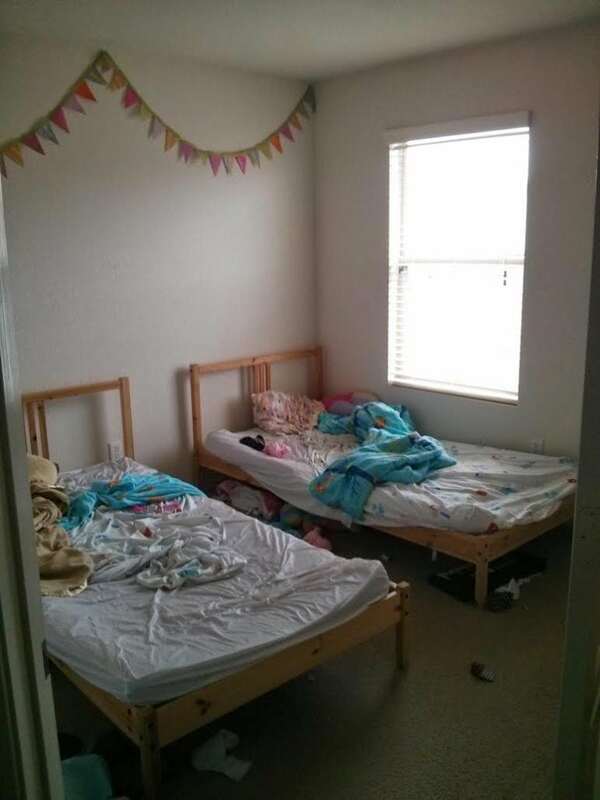 What initially stumped me was what to do with the large blank wall behind their beds. 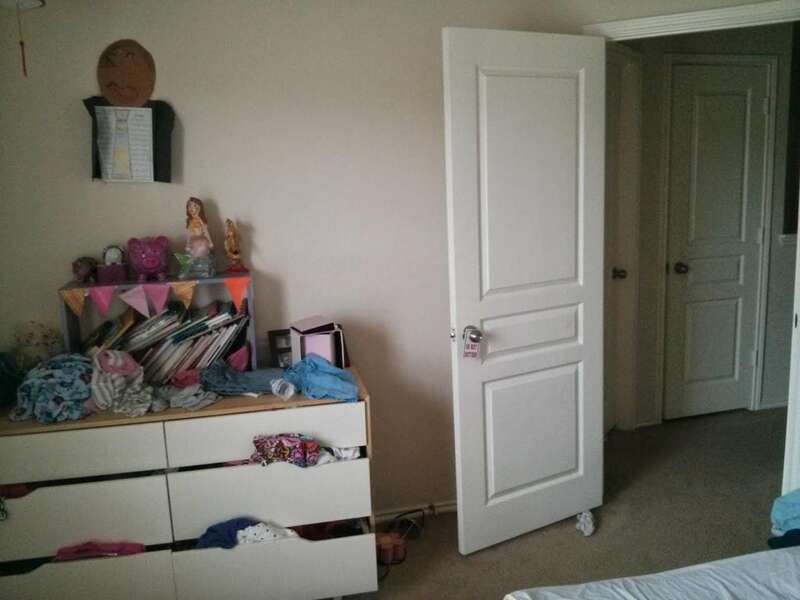 Their room is so tiny, I knew I needed a focal wall to add interest to the small space. 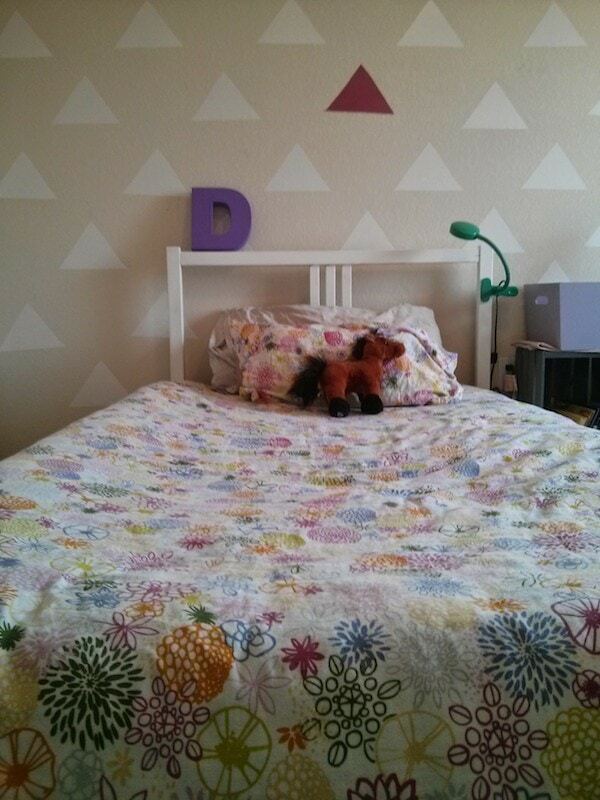 I used contact paper cut into triangles to add some whimsy to the space. 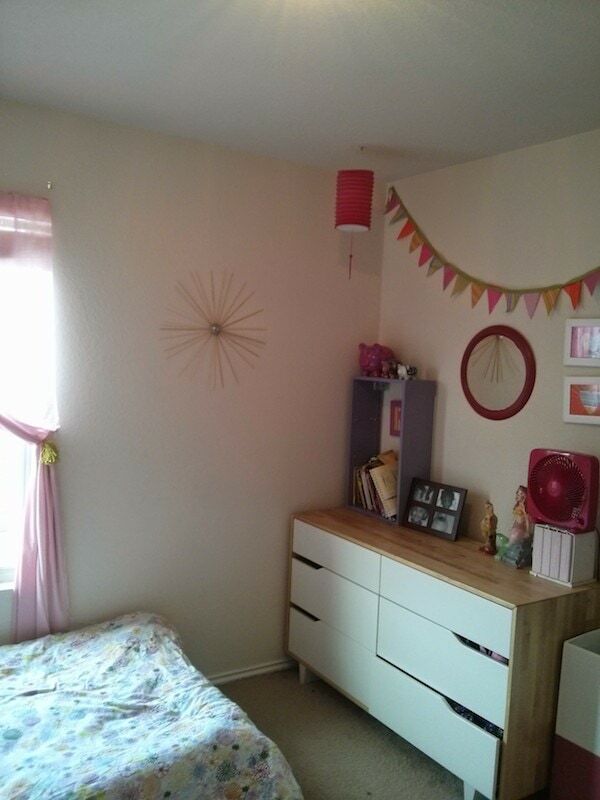 It looks like such a pretty room for little girls now! And I’m still loving that contact paper on the wall…..! Want to join the next room challenge? Join the 30-Day August Upgrade Challenge now! 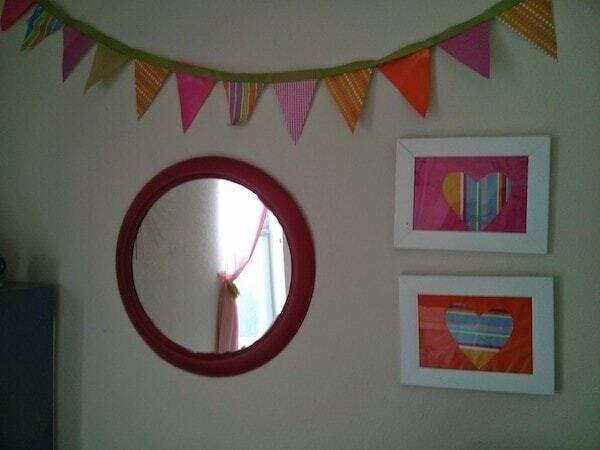 Let’s stop making excuses and transform one room or space in our homes!